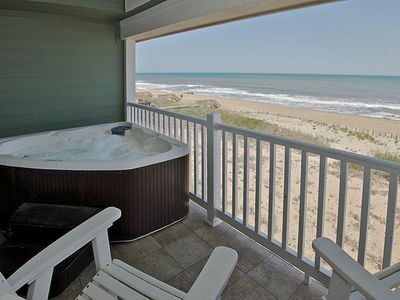 Relax in the Private Hot Tub on the balcony, while overlooking the expansive view of the ocean from the top floor. 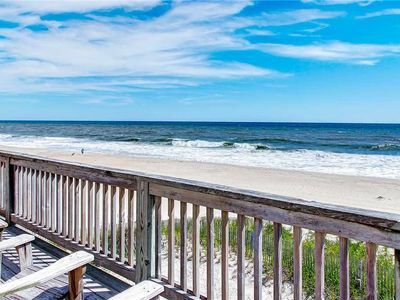 Alternatively sit in the Adirondack chairs to admire the gorgeous sunrises and dolphins. 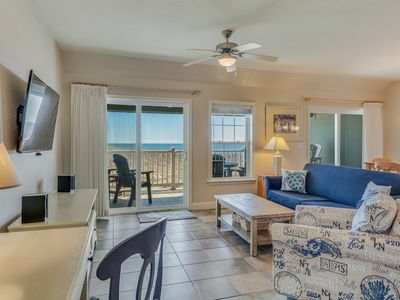 This beautiful decorated condo, now known as "Beach Bliss", incorporates a relaxing color palate with 12 foot vaulted ceilings, custom furniture and carpets creating a plush and welcoming setting at the ever popular First Flight Retreat Condominium. 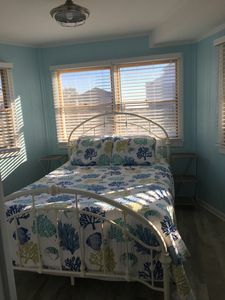 Find your Tranquility and Serenity at BEACH BLISS !! 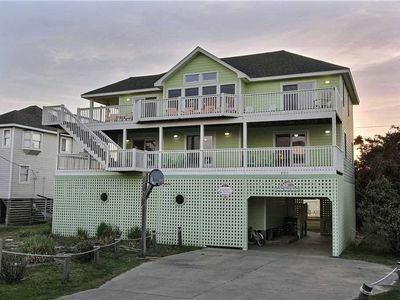 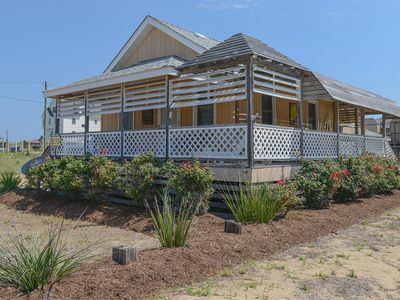 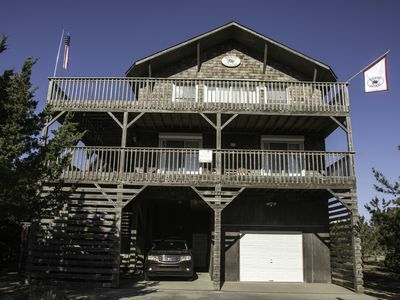 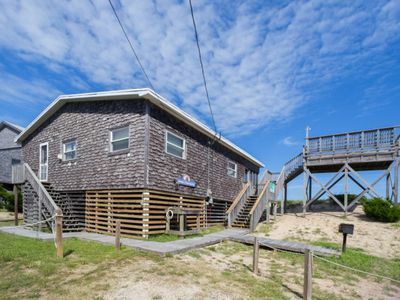 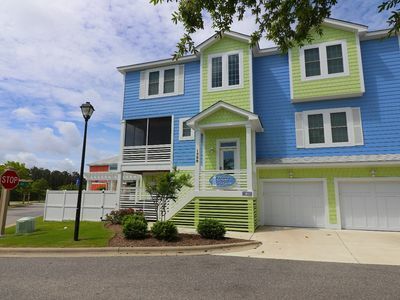 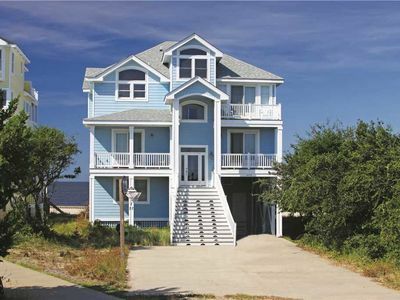 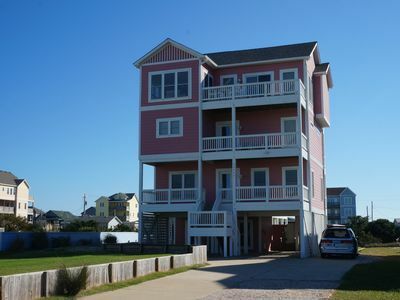 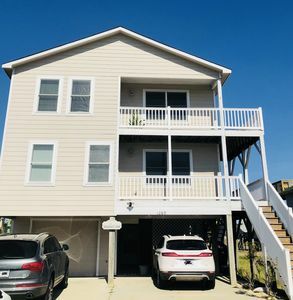 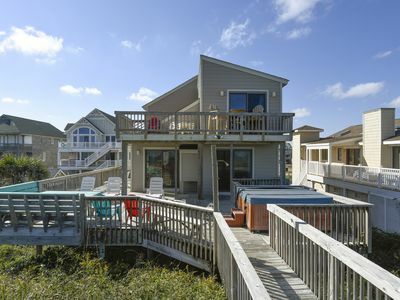 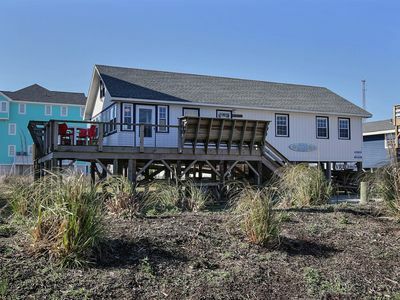 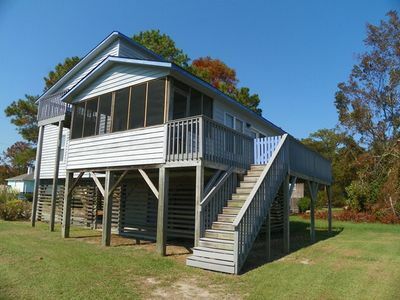 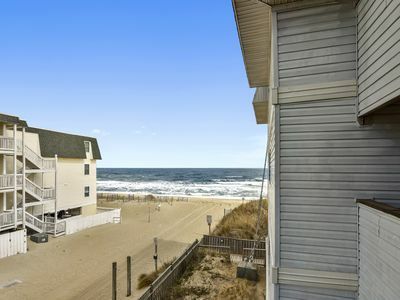 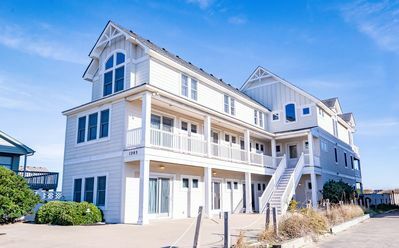 OCEANFRONT CHARMER- 4 BRs, Hot Tub, Oceanfront Deck, Dog Friendly and Views! 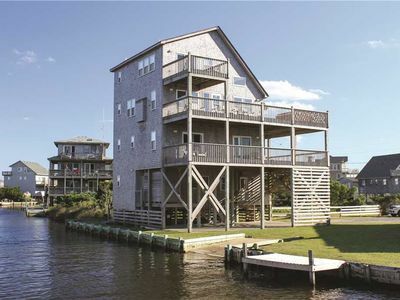 WATERFRONT! 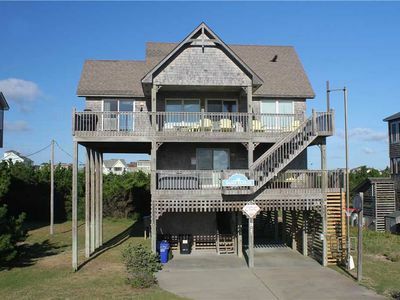 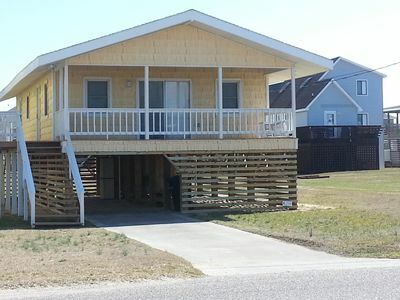 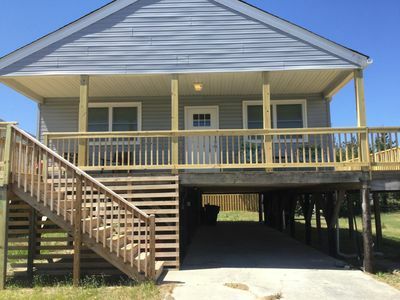 WITH 3 BEDROOMS (1 MASTER), COMMUNITY POOL AND SOUND-FRONT BEACH!